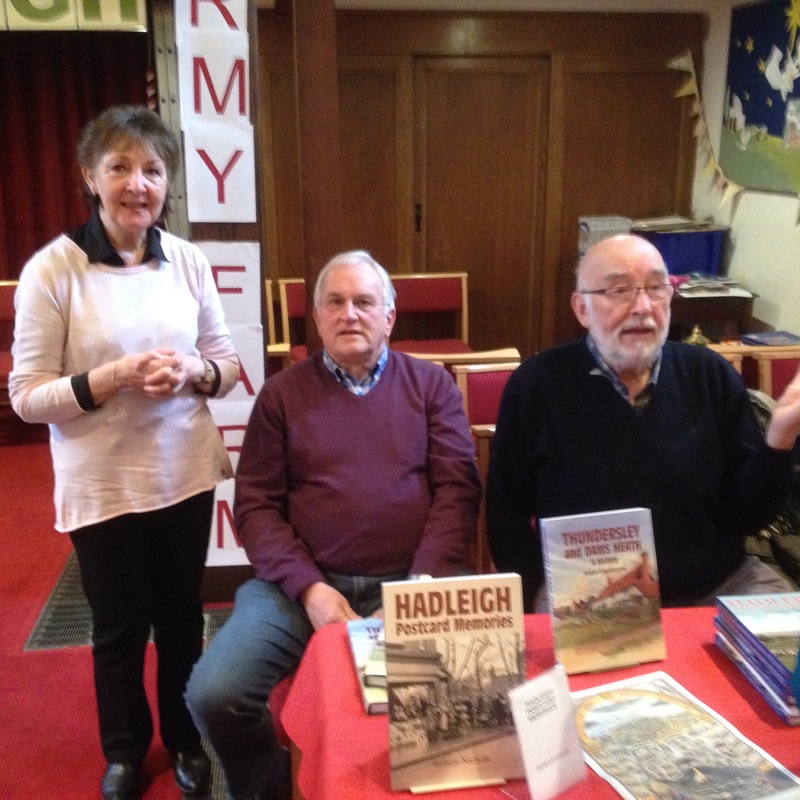 18th March 2017 about 70 people listened raptly as Graham Cook gave us 150 illustrated highlights of the first 125 years of the Salvation Army in Hadleigh. 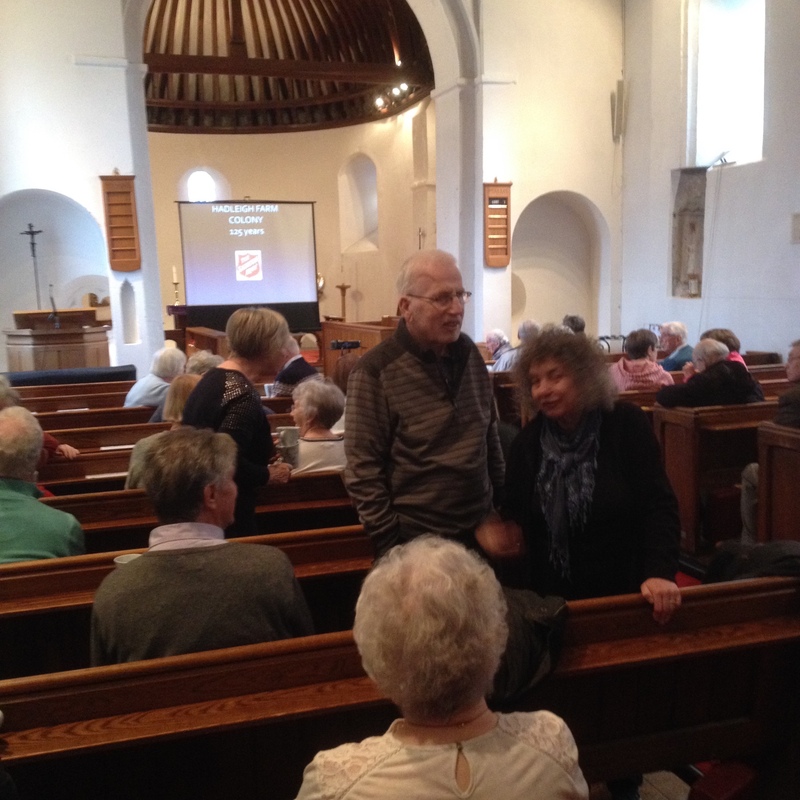 The book: “In darkest England” was written by William Booth and dedicated to his wife Catherine. Booth believed in self help, giving people back dignity with a trade and skills leading to fresh chances in life. Booth’s huge influence, helping Victorian England to drag itself out of despair and misery for millions; was reflected on the day of his funeral in London when 42 brass bands played, including one from here. The funeral procession walked from the Mansion House to Abney Park, Stoke Newington. In Essex, Shoebury (1883) saw the first efforts of the Salvation Army, then Hadleigh started in 1891. In a controlled outpouring of organisation and enthusiasm, the first 10 months saw all the key buildings erected and the self-sustaining economy of the colony developed. Four of the early Governors of the colony; Lamb, Stitt, Hughes and Cadman were key figures in English and Salvation Army social development. E.g. Cadman influenced Booth to adopt a military style of discipline. Governor David Lamb was the youngest officer to be put in charge and went on to establish the Army’s Emigration Scheme in 1903. From the early days, training through farming and brick-making were key aspects, as were prayer meetings and Brass Bands. In 1893 the purchase of Leigh Heath and Leigh Park Farms brought the colony’s area up to 3,200 acres, of which 1,000 acres was water and foreshore. Graham’s slides showed young and destitute from London being trained by George Watson, working the land and learning how to run farms – instruction later put to good use in New Zealand and Australia. Later slides showed men on the way to new countries, with a SA mentor on board each ship. 3,000 boys had passed through Hadleigh to Australia, New Zealand and Canada by 1926 and the SS Vedic ferried yet more in the following three years. 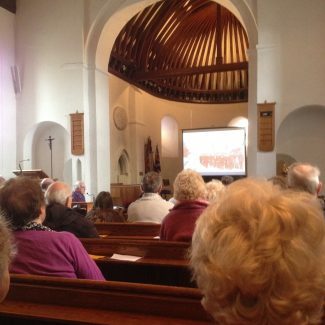 Descendants of those fit and enthusiastic young men and women have already contributed comments to this archive. There was an amazing picture of 100 SA officers walking down Castle Lane to learn at first hand how the colony was organised into a sustainable community. Further slides showed the brickfields (in 1926, annual production was 2 million bricks at just one of the three brickfields.) Where problems might have arisen, such as the transport of bricks; they became opportunities, a railway system was built on the colony to transport bricks down to the new General Booth Wharf, where the SA trains met barges to load bricks for building in London. The most recent examples of the vision in action for the community are the expanded Tea Rooms opened in 2001 and the Hub Cafe at Easter 2015. 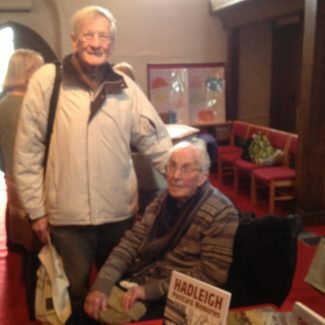 Graham’s brisk and expert insight into a key part of Hadleigh’s history over the last 125 years was well received, another in the excellent series of Hadleigh Heritage talks we have enjoyed in St James The Less.